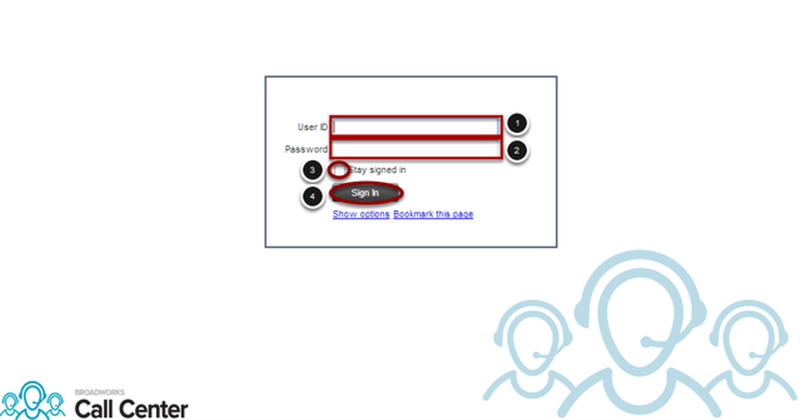 4) Click the Sign In button to sign into the agent software. 2) Click Edit Queue Favorite Dialog. 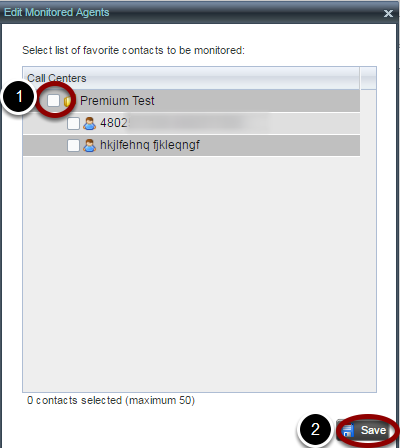 1) Click the Monitor check box to enable this Queue's calls to be displayed. You will be returned to the Call Center Agent screen. You should now see the Queue listed under QUEUED CALLS. When an incoming call to this queue is awaiting an agent, it will be listed here. 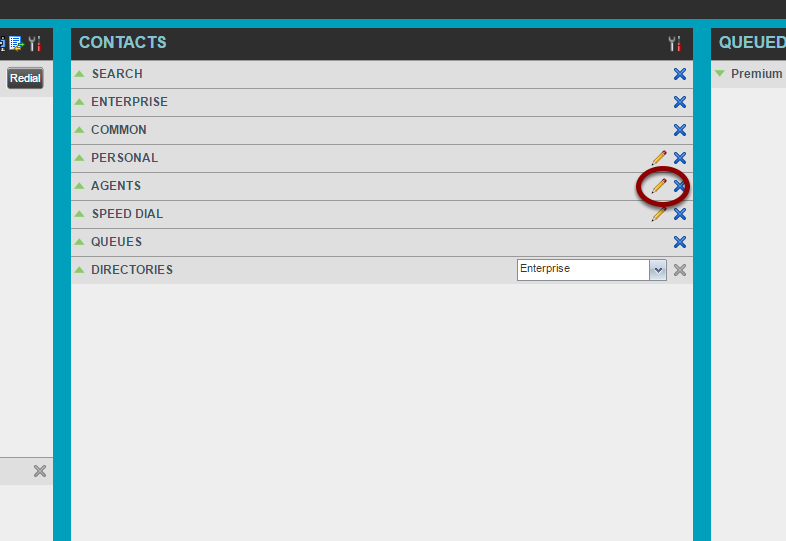 The Edit Monitored Agents box will open, and list every call center and agent your Supervisor has been assigned. 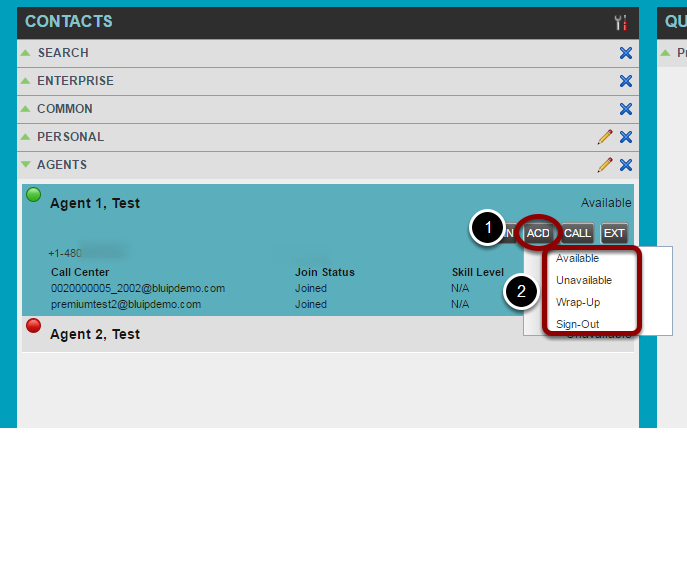 1) Click the box next to each call center to enable monitoring of the agents in that queue. You will be returned to the main Supervisor Client window. Click on Agents to expand the section. 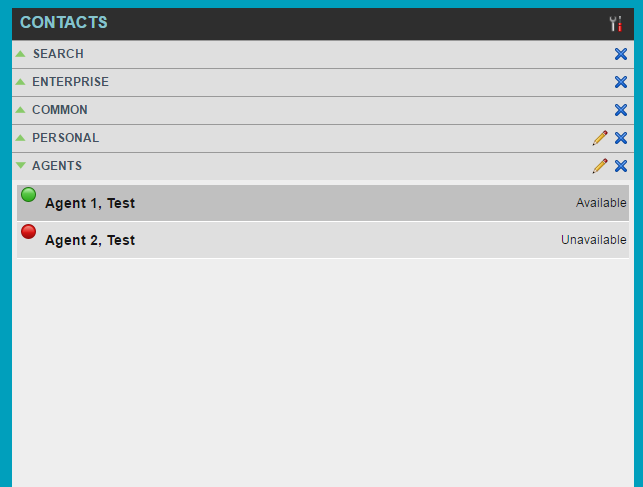 You will now see the agent status for each monitored agent. Clicking on a monitored agent will expand the agent section and load several icons. 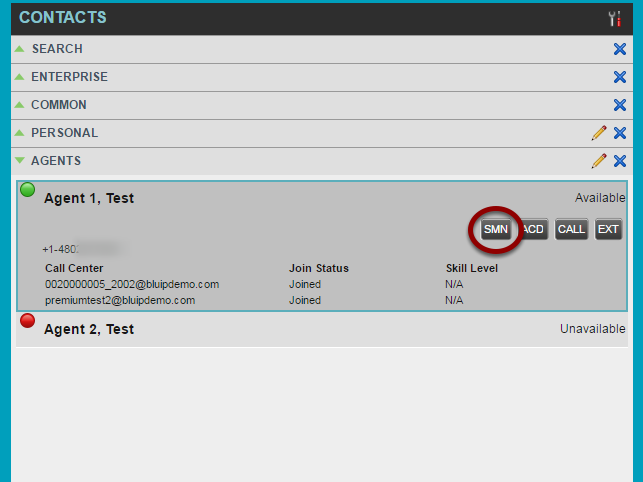 2) Click on an ACD status to update that agent in real time. 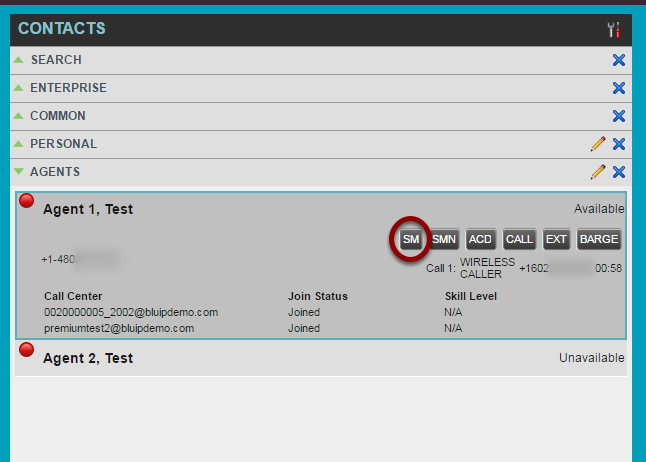 To monitor an Agent's active call, click the SM (Silent Monitor) button. A new call will be sent to your supervisor phone, and when you answer you will hear the audio of both your agent, and the remote party but neither will be able to hear you. 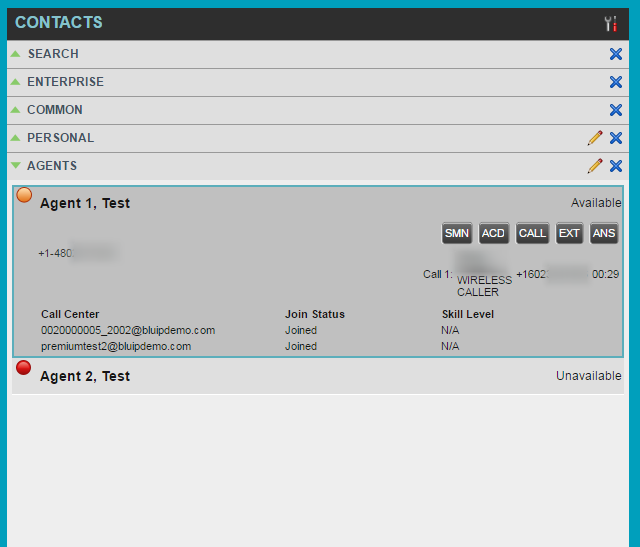 To barge into an active Agent's call, click the Barge icon. This will send a new call to your supervisor phone and when you answer you will now be connected into the agent's call with the remote party. All 3 parties can send and receive audio, essentially this creates a three way call. This can be useful if you are monitoring an agent silently but you need to coach them or take over and give corrected information to the remote party. 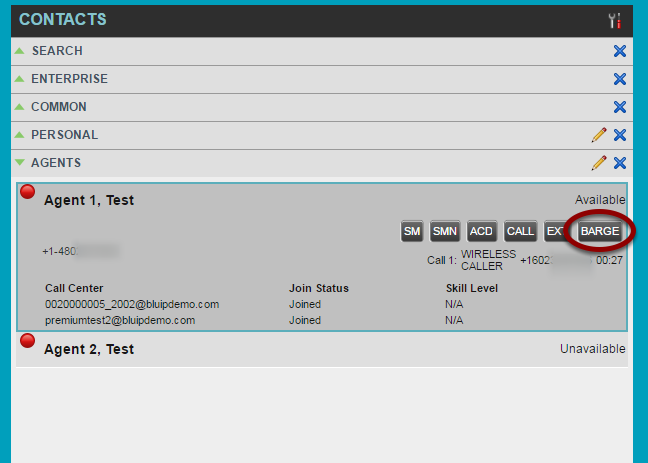 The SMN (Silent Monitor Next) button will send a new call to your supervisor phone that will connect to dead air until your agent answers the next call. Once the agent has answered, you will hear both your agent and the remote party, but neither will hear you. If an agent has a call ringing on their line, you will see their Green icon change to Orange. You will also notice a new icon appears, ANS. Clicking this will retrieve the call that is currently ringing on the agent and allow you as a Supervisor to answer and work this call. This can be useful if an agent forgets to change their ACD state and a caller is being presented to an unavailable agent who's still marked available. 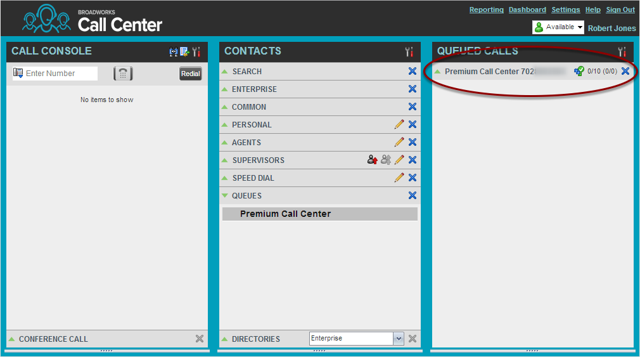 If all agents are busy with other calls or unavailable, calls will begin to queue up per the call center queue rules. If you'd like to help out and retrieve calls as if you were an active agent, click the Retrieve icon and your supervisor phone will be presented the call.